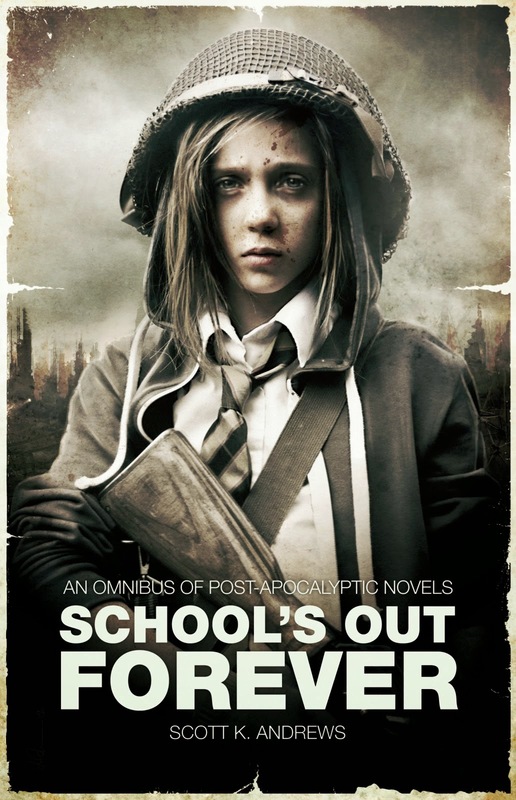 Thrust into the centre of a war that spans millennia, Dora, Kaz and Jana must learn to harness powers they barely understand to escape not only villainous Lord Sweetclover but the forces of a fanatical army... all the while staying one step ahead of a mysterious woman known only as Quil. 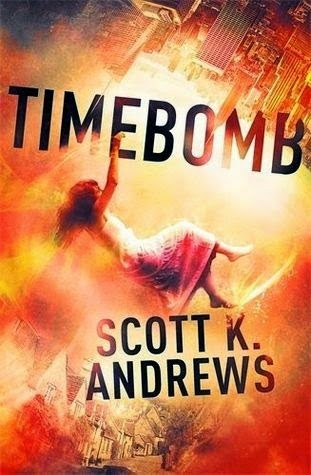 Three teens from three times run rampant in 17th century Cornwall in the frenetic first volume of Scott K. Andrews' TimeBomb trilogy, a paradoxical romp which, whilst engaging and entertaining, promises a little more than it delivers. 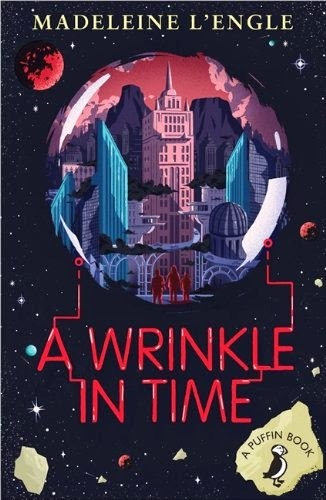 To wit, TimeBomb begins quite brilliantly, with a fleeting glimpse of future New York: a sprawling city in which forty-storey superstructures are "dwarfed by the looming organic skytowns that twined sinuously up into the cloud base." (p.3) Here, we meet Yojana Patel, the determinedly independent daughter of... a powerful politician, I think? We can't be certain because Andrews doesn't dally. In a matter of moments, rather than give her pursuers the satisfaction of catching her, Jana has thrown herself off the roof of a great skyscraper. Death, in her day, is merely an inconvenience—she has a state-of-the-art board embedded in her head to that exact effect—but this particular passing doesn't happen as planned. Jana, in fact, never lands. Instead, a second or two into her fall, she felt a tug upwards. Her first thought was that it was a freak gust of wind momentarily slowing her descent, but the tug increased. It felt as if the gravity that pulled her down was fighting an opposite force that wanted to pull her skywards. In short, she goes into freefall—through time as opposed to space—before awakening, shaken, in the present day. Here, Jana joins forces with runaway called Kaz, who has been drawn almost inexorably towards Sweetclover Hall. As has Dora Predennick, a quiet Cornish lass from the past who, "in spite of all her natural meekness, humility and stay-at-home unadventurousness [...] was very formidable indeed when she was angry." (p.31) And having been forcibly transported over a time bridge, as she sees it, Dora's... pretty pissed. With these three—Dora and Kaz and Jana—what you see is what you get, essentially: a lack of contrivance that proves reasonably appealing in Andrews' hands. That said, he only really gets around to developing Dora, and I'd have preferred to see her partners in time affected by the tale TimeBomb tells as well. Andrews, alas, clearly cares more about speed than he does detail. Non-stop story beats take precedence over the people of the piece. To the aforementioned author's credit, his creations have plenty of potential—even the villain, Quil, comes with credibility built in. As she says to Jana, her actions "are not dictated by what you have done, but by what you will do, you and your two friends. But perhaps the future—your future—is not set in stone. I'd like to try and prevent us becoming enemies at all." Nice of her, right? But no. She goes from relatively reasonable to COMPLETELY EVIL in a single scene, all because the story says so. Ultimately, TimeBomb is a bit of fun, and that's fine. Approach it expecting something special and I dare say you'll be disappointed, but who goes to McDonalds to eat a gourmet meal? This, then, is fast food sci-fi, and who among us doesn't delight in a supersized order of fries from time to time?